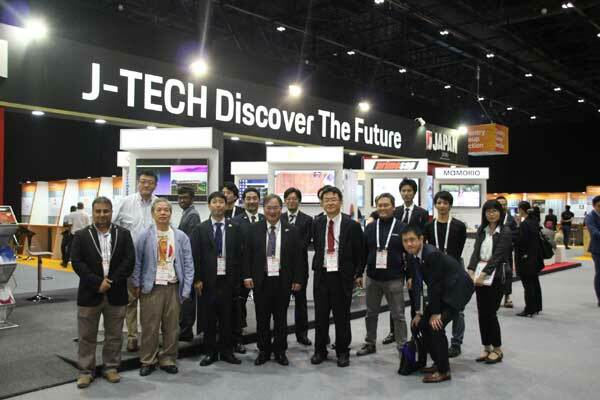 The Japan External Trade Organization (Jetro), a Japanese government agency that facilitates business between Japan and the rest of the world, has confirmed its largest Gitex presence with 19 innovative and dynamic start-ups confirmed for Gitex Future Stars. The Gitex event will be held in Dubai, UAE, from October 14 to 17 at Dubai World Trade Centre. Among the sectors represented at the Japanese pavilion will be artificial intelligence (AI), aerospace, Internet of Things (IoT), healthcare, fintech, and hospitality which together, will provide industry and business audiences with a unique glimpse into the future of space exploration, science, industry, work and personal life. Jetro’s presence builds upon a successful 2017 showing that featured seven start-ups and follows the April signing of a Joint Statement on Deepening and Strengthening Strategic Partnerships by Japan and the UAE, it said. The statement signed by the two countries highlighted sectors that include advanced technology, robotic, IoT, big data analysis, AI and space activities, sectors that will feature prominently at the show’s Japanese pavilion, it added. The programme also marks the second year that Middle East technology and e-commerce entrepreneur, Paul Kenny, has led the participating start-ups through an intensive mentorship programme. The initiative focuses on Middle East growth strategies for the start-ups across the technology space in advance of Gitex Future Stars and provides insights into the region’s start-up and investment communities. “Not only do these start-ups represent the future of Japanese technology and industry, they also have real potential to contribute to the economic growth and diversification of the Middle East and Africa region,” Ando added. Moreover, of 19 start-ups to showcase at the Japanese Pavilion, four have been selected under J-Startup, a programme launched in June by the Japanese Ministry of Economy, Technology and Industry with a mission to foster and grow Japan’s start-up sector. Selected through the recommendation of experts, the start-ups receive intensive support measures from a number of private and public organisations. Under the programme, Dubai has been selected as a Global Acceleration Hub meaning that Jetro’s Dubai office will support Japanese start-ups with extensive access to regional professional networks and opportunities such as Gitex Future Stars in hopes of fuelling expansion to the region. Start-ups on the Japanese pavilion will have the chance to meet the more than 1,500 investors and corporate buyers expected at the show. A select group of entrepreneurs will also join Jetro in sharing insights into the Japanese start-up ecosystem and their particular sectors on October 14 at 14:45 as part of Gitex Future Stars’ official agenda of speakers. Among the J-Startup start-ups showcased at the Japanese Pavilion will be aerospace firm ispace, a lunar exploration company that through making the world's smallest and most lightweight robotic lunar rovers and lunar landers, provide a glimpse into a world where the Earth and Moon are one ecosystem. The firm’s presence is particularly significant as the UAE currently prepares to launch its first-ever Emirati-designed satellite, KhalifaSAT, into space from Japan on October 29 thanks to a partnership between the UAE Space Agency, Mitsubishi Heavy Industries and the Japan Aerospace Exploration Agency. Other J-Startup selected start-ups include AI firm Visits Technology Inc, who’s patented consensus-building algorithm “Ideagram” shines a light on the future of decision-making through the quantification of human creativity, accuracy of assessment, and other values and assets that were historically difficult to measure, as well as HR technology firm, Unipos Inc., which imagines the future of work recognition through a new streamlined and simple way to recognize and reward employees through micro peer bonuses. Contract semiconductor hardware firm Connectec Japan Corp, also a J-Startup will showcase its world-first IoT assembly technology, which features non-heat resistant chips and low cost, flexible materials, suitable for microelectromechanical systems and sensor chips in the coming IoT era. Further reinforcing the growing ties between Japan and the region’s start-up sector, the Japanese start-ups participating in the event will also receive mentoring from renowned Middle East technology entrepreneur, Paul Kenny. The mentoring led by Kenny in advance of the event will prepare the firms for the upcoming trade show as it also provides valuable insights into the region’s start-up and investment communities. Other start-ups showcased at the Japanese pavilion stand will be AI firm Empath, which won the best AI start-up award at the Accenture Innovation Awards at Gitex 2017 for its emotion detection technology. Joining Empath will also be fintech company Doreming, a cloud-based HR-Payroll Platform that enables companies pay employees and in particular, those who are unbanked, in real time; as well as design-focused smart home IoT firm, mui Lab which makes smart and sleek natural wood interactive touch panel displays for smart homes.